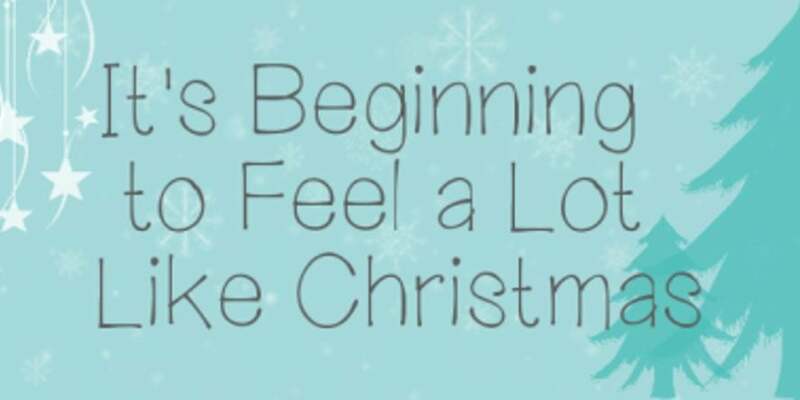 Yes yes yes, we know it’s only November but don’t you agree? It really is starting to feel a lot like Christmas? A few mornings a week I treat myself to a Mocha from McDonalds, well I do start work at 7.30am and do need a boost from time to time! Anyhow, just yesterday I had one and they’ve upgraded to their Christmas cups! I’ve just booked myself on for four dates with Huntingdon Round Table to do the Santa Collection, I will be freezing my bum off with Santa on his sleigh travelling behind me as I knock on doors in Godmanchester, Buckden and Sawtry informing the children very excitedly that ‘Santa is Coming’ and collecting for some charities that do brilliant work. Meanwhile I have been putting the dates in the diary for the Peterborough Light Project, where churches in Peterborough take one night each to give food and shelter to the homeless people of Peterborough. I’ll be doing 1-3 shifts a week this year, from December until February. I’ve been getting everyone menu choices for the Creative Networking Christmas Dinner in December, I can take additional guest bookings up until the end of November, so if you do want to come just let me know and we can definitely add you to our booking. The date has been set for the Christmas Drinks with A14 Business Networking in St Ives, which I sadly missed last year but am very much looking forward to this year. The Christmas shopping (and wrapping) is well under way and before I know it Christmas will be here. For me Christmas is all about my friends, family, the community and those around me. That’s why I make the effort to get involved in community and charity events, have the in-laws round for dinner and a ridiculous amount of people for Boxing Day!